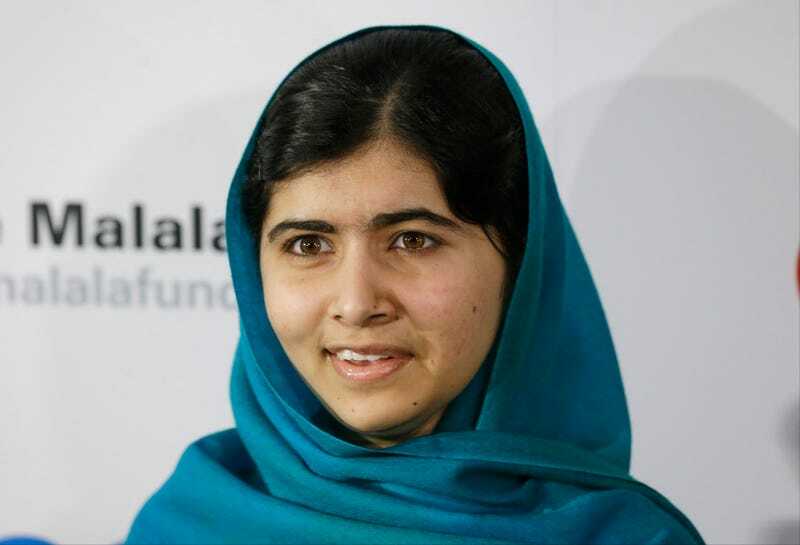 Malala Yousafzai did not win the Nobel Peace Prize this week. That honor went to "the Organization for the Prohibition of Chemical Weapons (OPCW) for its extensive efforts to eliminate chemical weapons," a group whose work the nominating committee found particularly relevant given the recent human rights violations in Syria. Now that the jury's in, there are fans across the world who are upset Malala didn't win and there are people who believe she never should have gotten the attention in the first place. Shoiab Khan, who works in a local bank, said the right decision had been made. “She doesn’t deserve it at all,” he said, adding that there was widespread opposition to her efforts to get girls into school, a campaign many believed was being orchestrated by shadowy foreign forces. Others in Pakistan were worried that a win by Yousafzai would have provoked the Taliban into further attacks and honestly, that fear is a valid one. If she had won, Malala has said many times that she'd have used the award to help further the cause of girls' education. "If I get the Nobel Peace Prize, I think it will be such a great honor, and more than I deserve, and such a great responsibility as well," Yousafzai said on Thursday evening during a talk with Christiane Amanpour at the 92nd Street Y. She still hopes to become a prime minister, a goal that puts her in good company, given the three female leaders who won the Peace Prize in 2011. And it's not as if she's not winning other things: on Thursday, she got The Sakharov Prize for Freedom of Thought, a $65,000 prize which has been won by Nelson Mandela and is considered Europe's most important humanitarian award. It is fitting that today, the same day as the Twittersphere and the world celebrates Malala's achievements despite her not winning the Peace Prize, is the United Nations' Day of the Girl. The second such day in its history, Day of the Girl is aimed at raising awareness of the very issues Malala has so bravely promoted. As Plan International, a charity aiming to get four million more girls in education around the world continues its work, Malala couldn't be more of a perfect poster child for it.